A group of local hackers who are calling themselves as “Blood Sec Hackers” posted in their Facebook page a list of Indonesian websites which appears to be vandalized. 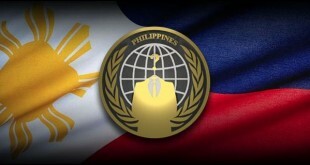 The attack against the Indonesian cyberspace was triggered because Indonesia has sentenced a Filipina, Mary Jane Veloso to death because of drug smuggling. The 30-year old was allegedly duped smuggling 2.6 kilograms of heroin into Indonesia by a Fellow Filipina. There were a couple of commercial websites and a few Indonesian government websites affected by the attack dubbed as “OpIndonesia”. Here is an initial list of those, while you can find more in their Facebook page. “We ask for your clemency and for the release of my fellow Filipino, Mary Jane Veloso all she wanted was to find a job in your country to support her family She didn’t want what happened. Her children need her She was just used to carry the drugs into your territory,” the defacement message reads. “The death penalty is nothing short of barbaric. Most criminals could better pay for their crimes by giving back good for the rest of their lives, Those who are unable to should suffer the punishment of incarceration. The judges who order this penalty are murderers themselves who have only power, but no right to take another’s life,” the message continues. 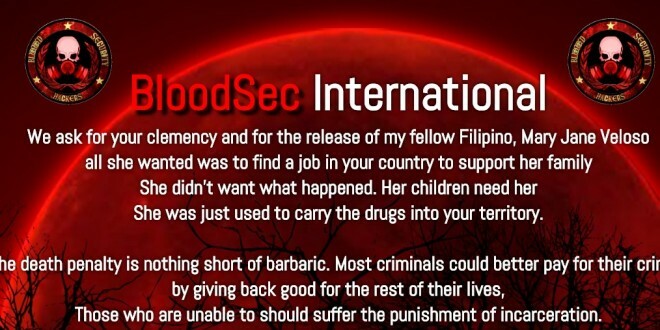 An open letter addressed to “Blood Sec Hackers” is circulating earlier today by Indonesian hackers asking them to stop the attacks. The letter pointed out that each country has its own laws thus we must respect one another. The full letter is posted below and also available here. This is an open letter for you to understand. We’ve seen what you’ve done to our sites as a protest on what happen to Marry Jane, however each of us (country) have their own laws which we must respect one and another. Attacking our sites doesn’t change anything for her. Trust me. Now she is convicted to death penalty which we all feel grieves deep within. Now, kindly please stop the attack or we will do the same over and over again until we both can feel each “other power” in this virtual world. oh by the way your dot.ph is fragile so i humbly please ask you nicely.